Kambu koozh is a traditional tamil dish made from pearl millet or bajra and buttermilk. It is usually stored in large mud pots and popularly served during summers to keep your body cool and refreshing. It is rich in protein, vitamin E, B- complex, calcium and iron. 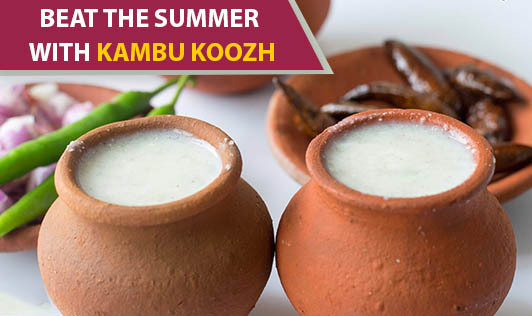 kambu koozh is not only nutritious but is also rich in fiber and is an excellent summer drink especially for diabetics.